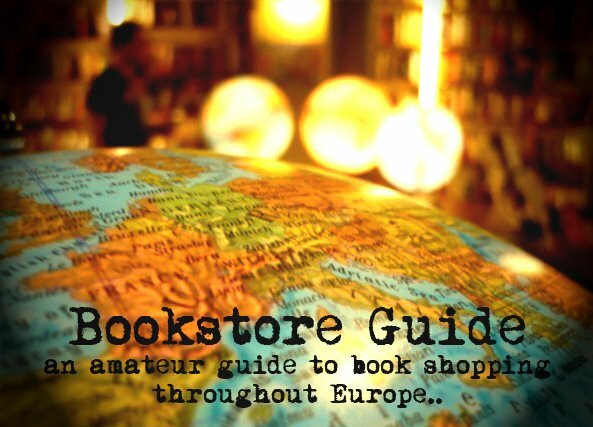 Robin said: "Located in the heart of Brussels on Rue Antoine Dansaert, this bookstore is easy to miss, because it is marked only by a small sign. But after you pass through a long hallway, you enter into an airy, light-filled store and cultural gathering space. Broad tables display a wide range of English language literature and some non-fiction, and do check out the list of cultural initiatives: Passa Porta is much more than a bookstore, with its intercultural poetry and translation collectives, writing workshops, and reading series. Most of these events are held in French and/or Flemish, but some are in English." As Robin pointed out, Passa Porta is much more than a bookstore. 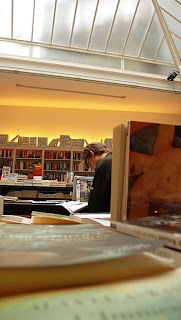 The Passa Porta bookshop, although being a completely independent institution, forms just one part of the Passa Porta International House of Literature, which was opened in October 2004 and which has become an important part of Brussel's literary scene. The multicultural city of Brussels, characterized by a wide variety of languages, nationalities and cultures, seems like the ideal setting for this sort of institution. Passa Porta cooperates with two other literary associations, namely Het beschrijf and Entrez Lire, which are responsible for organizing the majority of the numerous literary events taking place in the facilities of the House of Literature. You can check out a video of Paul Auster reading from his newest book at Passa Porta HERE. Another event that is organized under their direction is the Passa Porta Festival in Brussels - a literary festival, the next edition of which will take place in March 2009. Workshops for writers and translators are also held on regular basis. As their website states, Passa Porta Bookshop aims to be the best multilingual literary bookstore in the country, and they're certainly doing all they can to achieve this ambitious goal. The stock of this bookstore is equally strong in books in four different languages - French, Dutch, English and Spanish, but you can also find smaller sections with titles in Italian or German. The books on offer in its modern interior are mostly new, but they also sell second hand titles. The bookstore is also known for carefully selecting the titles which find their place on its shelves, many of its customers praise the offer of poetry and art books or children's literature. Regarding the scope of literary activities that take place under the Passa Porta logo, we can simply conclude that this institution can perfectly serve as your passport to the world of literature and writing.